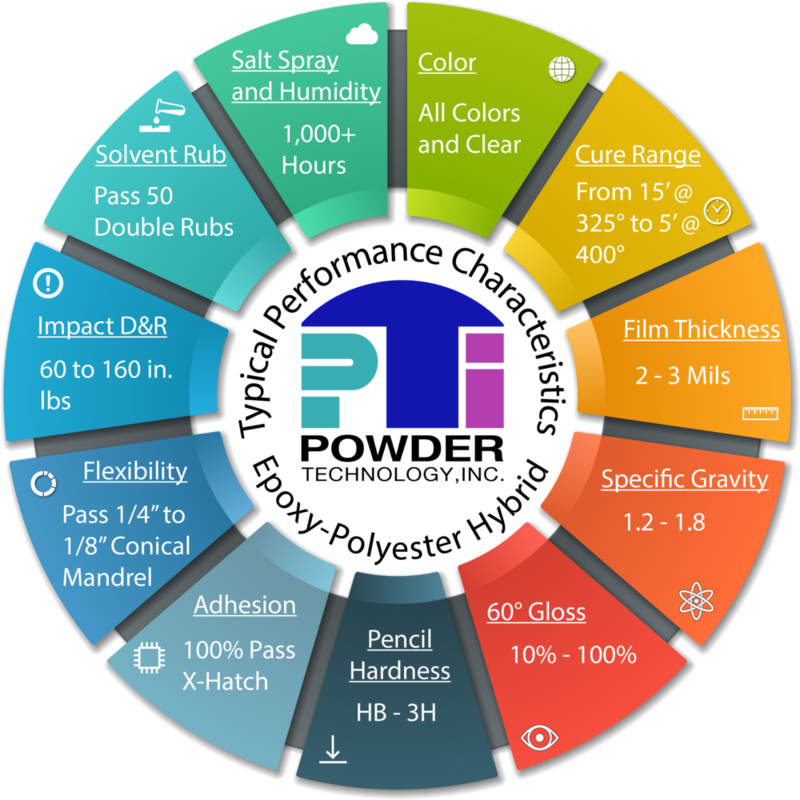 Urethane, Epoxy and Hybrid — Powder Technology, Inc.
Epoxies offer coatings with excellent mechanical and chemical resistance properties when used on interior applications or for exterior applications where changes in color, gloss and appearance are acceptable. Generally epoxies are not recommended for exterior application because of rapid loss of gloss and color when exposed outdoors. Typical Applications For Epoxy Powders Are: Automotive Under Hood Parts, Appliances, Business Machines, Office Furniture, Toys, Tools, Shelving, Primers, Transformer Cases. Hybrids offer most of the advantages of the epoxies in mechanical and chemical resistance properties and offer improved properties such as greater resistance to yellowing during cure, better transfer efficiency, and cleaner, brighter colors than many epoxy formulations. They are sometimes more economical than epoxies but do have less solvent resistance. Though they are better than epoxies, hybrids are not recommended for exterior exposure. Typical Applications For Epoxy Polyester Hybrids Powders Are: Automotive Under Hood Parts, Air Conditioner Housings, Office Furniture, Tools and Tool Boxes, Shelving. Polyester Urethane powders are thin film exterior durable coatings that offer good mechanical and chemical resistance properties in the range of 1 to 2.5 mils. These powders can be used both on interior and exterior applications. They are not recommended for films greater than 4 to 5 mils. Typical Applications For Epoxy Polyester Urethane Powders Are: Lighting Fixtures, Satellite Dishes, Playground Equipment, Lawn and Garden Equipment, Office Furniture, Aluminum Extrusion, Steel and Aluminum Automotive Wheels, Appliance, Lawn and Patio Furniture, Ornamental Iron, Fencing, Business Machines, Electrical Enclosures.